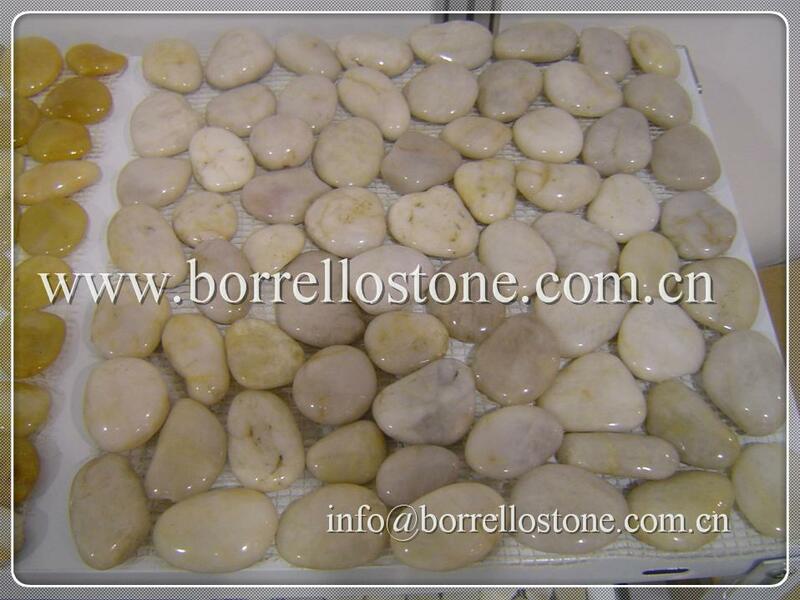 We China Borrello Stone is the leading and professional supplier of color polished pebble tile. With their uniform horizontal lines and varying pebble heights, our Pebble Mosaic Tiles create a unique, stylish contemporary look. 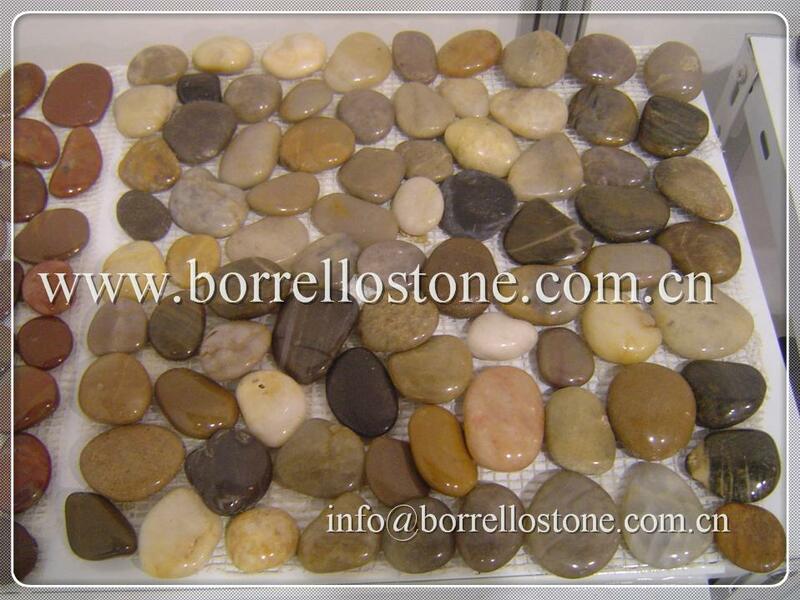 Ideal for water features, large area feature walls and a host of other indoor and outdoor applications. 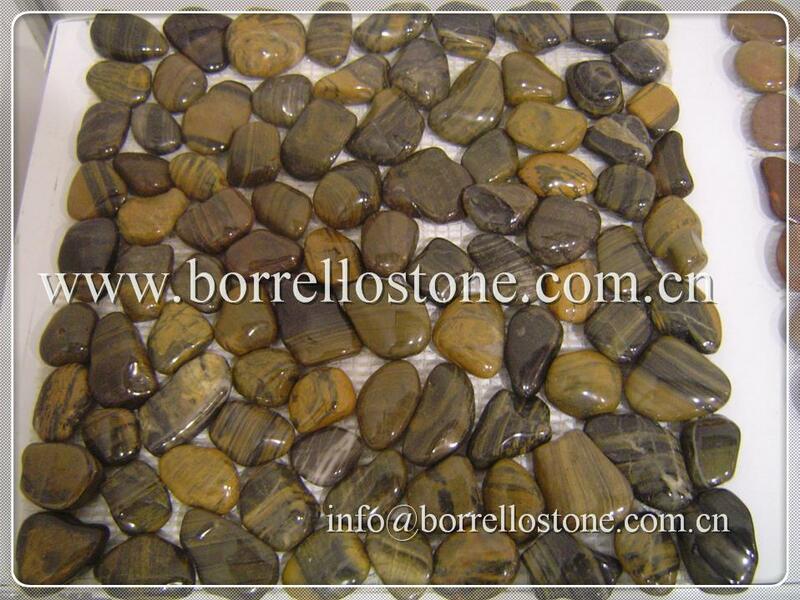 Specifications︰ Pebble Tile color: black, red, yellow, white, strip vein, mixed color.